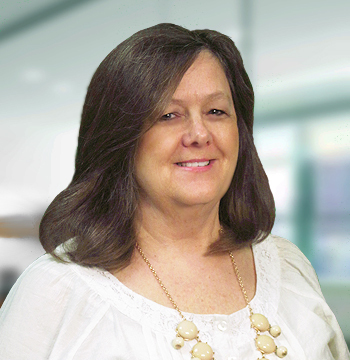 Linda joined Eastern AHEC in February 2017 as an Accounts Payable Specialist in the Fiscal Affairs Department. She has worked in the Accounting and Human Resources field for over 20 years. She has attended classes at Nash Community College. 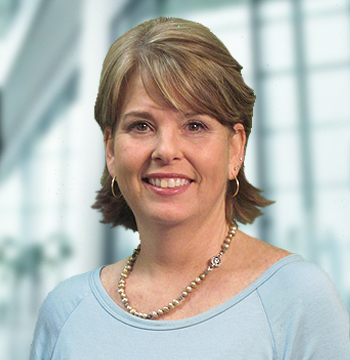 Lorrie has been a pediatrician on the faculty at the Brody School of Medicine since 1995. 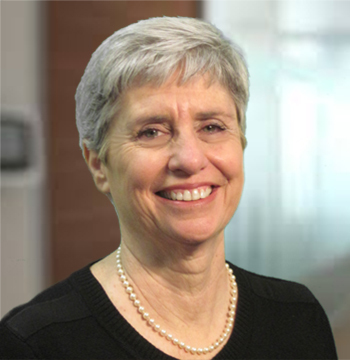 She joined Eastern AHEC as Executive Director in 2013, and concurrently serves as the Associate Dean for Continuing Medical Education for the medical school. 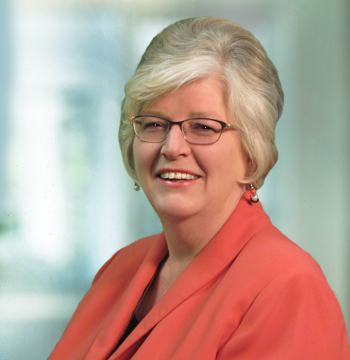 She has held other leadership positions as well, including Associate Dean for GME for 8 years and Chief of Staff of Vidant Medical Center. Lorrie is passionate about providing service to the underserved and loves working to realize Eastern AHEC’s mission. 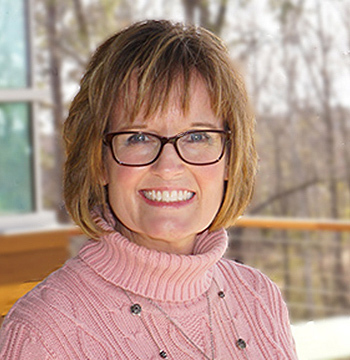 Since joining Eastern AHEC in 2012, Laura has planned and implemented Eastern AHEC Community Based Educational Programs for nursing and allied health professionals that are held on-site, at agencies throughout the region. She also serves as the Regional RN Refresher Program Coordinator. In addition to clinical nursing, Bliley served as Faculty then Director of a community college nursing program for eighteen years. She holds a Bachelor’s Degree in Nursing from UNC-Chapel Hill and a Master’s Degree in Nursing Education from East Carolina University. 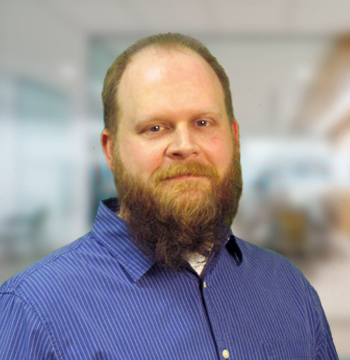 Alan has been with Eastern AHEC over 10 years developing and supporting online educational programs, providing AV and visual design support for programs. 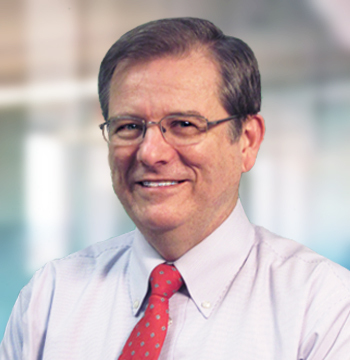 Prior to joining EAHEC he spent 20 years at the Brody School of Medicine working on instructional materials, building the telemedicine program and administering the course management system. He holds a Master of Education in Instructional Technology from East Carolina University and a Master’s Degree in Medical Illustration from Johns Hopkins University School of Medicine. Ikisha joined Eastern AHEC in 2016 as a Program Assistant handling regional programs with the Director and assisting the Student Services Coordinator. Prior to her work for EAHEC, she worked for a Physical and Occupational Therapy office as administrative assistant for over 15 years. Amy joined the Department of Continuing Medical Education in May of 2004 as a Program Assistant handling regional programs with the Director. After a two year interlude working for the Brody School of Medicine at ECU, she returned to Eastern AHEC in August of 2007 as a Program Assistant in Allied & Public Health Education handling regional programs with the Director. Angie joined CME of EAHEC in 2011 as a program assistant. In 2013 she became the Administrative Support Supervisor for Continuing Medical, Dental and Pharmacy Education Department. She worked in the early childhood development field for approximately 20 years; 13 of those as a Parent Educator with the Parents as Teachers Program. She served as Program Coordinator for Pitt County for seven of those years and as a NC State PAT Regional Coordinator for five years. Mildred joined Eastern AHEC in 1999 in Nursing Education. In 2010 she moved to Continuing Medical Education and was named Director in 2016. Prior to joining us she served in various instruction roles at the ECU College of Nursing. Her clinical background is primarily in OB/GYN. She holds a Bachelor of Science in Nursing and a Master of Science in Nursing both from East Carolina University. Brittany Cash joined Eastern AHEC as the Education Center Coordinator in September of 2016. She handles all the scheduling for the AHEC building as well as manages all activities within the Education Center. 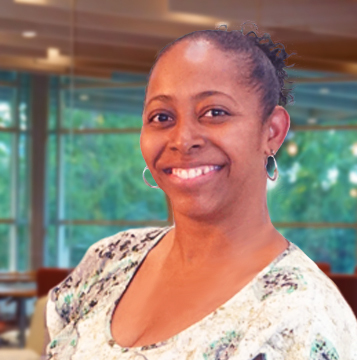 Prior to working with Eastern AHEC, she spent more than 10 years working within the Hospitality industry. In May 2015 Brittany received a Bachelor of Science in Hospitality Management at East Carolina University. Jeff has been a librarian since 1997. He came to ECU in April 2001 when he was the Electronic Resources and Collection Development Librarian from 2001-2009. Beginning in July 2009, Jeff was appointed Outreach Librarian and Director, Eastern AHEC Library Services where he serves until today. 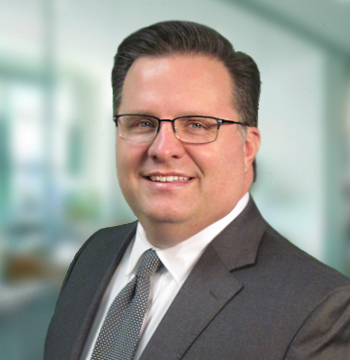 Jeff has a BA in English from Methodist University, an MA in English from Western Carolina University, an MLIS from the University of Alabama and a Certificate in Advanced Study in Health Sciences Librarianship from the University of Pittsburgh. Battina joined Eastern AHEC in 2017 as the Student Services Coordinator. She has over 13 years of experience in public education at the secondary level. 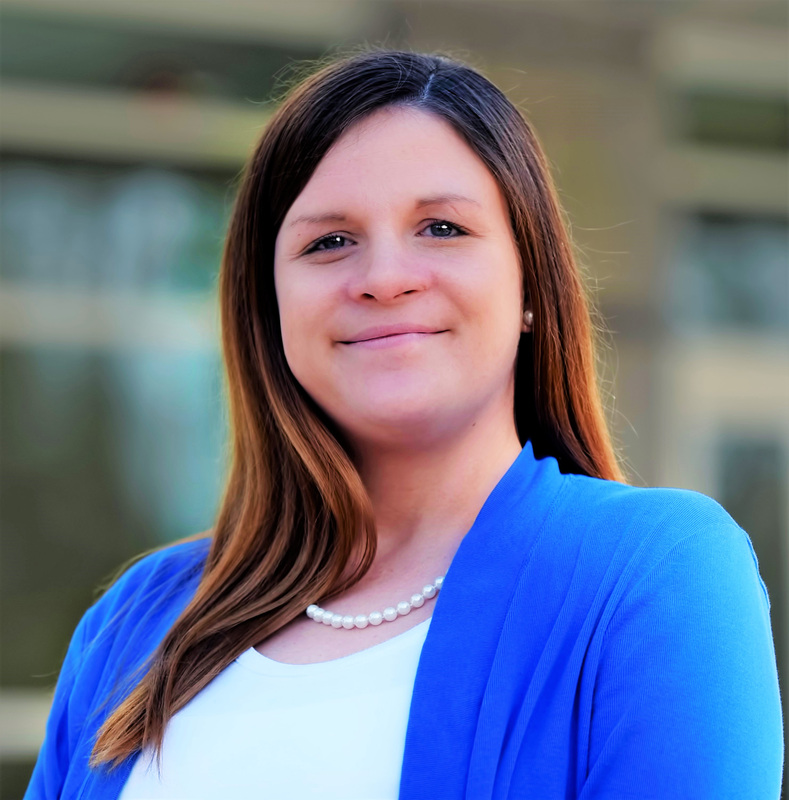 Battina holds a Bachelor of Science in Biology and a Master of School Administration from Elizabeth City State University and an Add-on Licensure in Curriculum and Instruction from the University of North Carolina Wilmington. Jackie joined Eastern AHEC in fall 2016 after four years as the assistant director for alumni communication at the East Carolina Alumni Association. Prior to entering ECU in 2012, she worked as a reporter for The Daily Reflector and other local newspapers. She earned her Bachelor of Arts in English from the University of Nebraska-Lincoln in 2007. She is currently enrolled part-time in ECU’s Master of Arts in health communication program. John has served as the Director of Information & Technology Services at Eastern AHEC since 2006. He and his team provide a growing list of services including application development, infrastructure support, reporting & database services, website & marketing support, help desk services, and other information and technology projects. He holds a Master of Science in Information Technology/Information Security and a variety of industry certifications (MSCA, CCNA, CEH, & others) acquired during his 15+ year IT career. 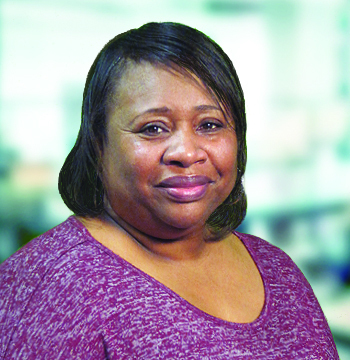 Carolyn joined Eastern AHEC, Quality Support Center in 2014. 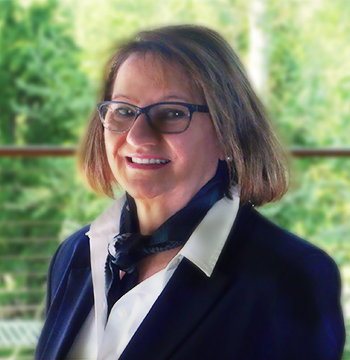 She has 32 years of nursing experience including bedside nursing, home health, staff development and physician practice quality improvement. Prior to joining EAHEC, she was the Quality/Education Coordinator for the physician practices in a health system assisting the practices to achieve Level 3 Patient Centered Medical Home Recognition. Carolyn received her ADN from James Sprunt Community College and her BSN from Atlantic Christian College. She is Board Certified in Nursing Professional Development. 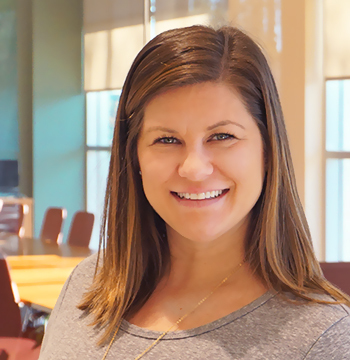 Paige joined Eastern AHEC in February of 2018 and serves as Director of Student Services and a CPD planner. She coordinates the NC AHEC Scholars program for Eastern AHEC and Area L AHEC. She has experience as both a Licensed Professional Counselor in substance abuse care, and as a Licensed School Counselor. 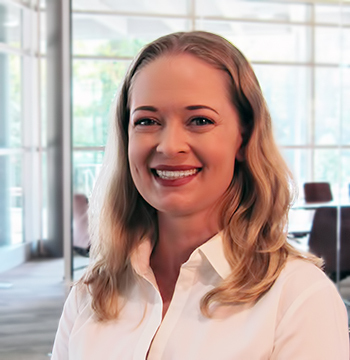 She is experienced in working with diverse populations and skilled at networking and tapping into the broad array of resources in North Carolina, particularly in the eastern region of the state. She has a Master of Arts in Counselor Education from ECU. 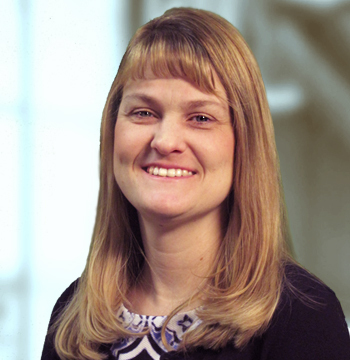 Brandi joined Eastern AHEC in 2008 as Accountant in Fiscal Affairs. In May of 2014 she moved into the role of Director of Fiscal Affairs. 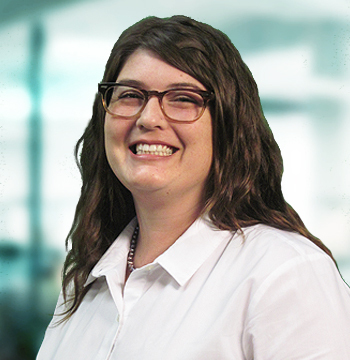 Prior to joining us Brandi worked as an auditor in the financial services industry. She earned her BSBA in Accounting from East Carolina University. Marsha joined the Nursing Education department in 1997 as a Program Assistant handling contracted programs, eventually handling regional programs and supporting the Director of the department. In 2010 she moved into the role of Business Service Coordinator in Administration. Marsha obtained her Bachelor of Science in May of 1988 from ECU College of Health and Human Performance in Interior Design. Eric joined Eastern AHEC in July of 2018 as a Program Coordinator in the Continuing Medical, Dental, and Pharmacy Education department. He and his wife moved to Greenville in 2016 to pursue graduate school at East Carolina University. After moving to Greenville, he went to work at Pitt Community College and Vidant Medical Center. Eric graduated from Lewis University in 2015 with a BA in Aviation Administration and Arabic Language and Culture. Tonia joined Eastern AHEC in February of 2017 and serves as Assistant Director in Mental Health Education. Prior to accepting this position, she worked in Provider Network Development with Alliance Behavioral Healthcare LME/MCO. She has been a Licensed Clinical Addiction Specialist since 2007. Tonia earned her graduate degree in Rehabilitation Counseling/Substance Abuse and Clinical Counseling from East Carolina University. 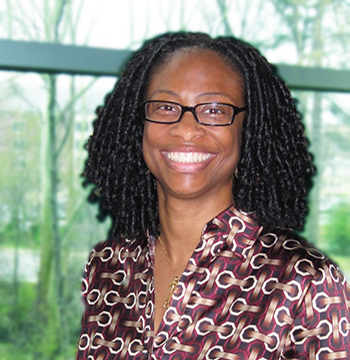 Dionne joined Eastern AHEC in 2000 as the Director of Pharmacy Education with a focus on pharmacy student education and training. 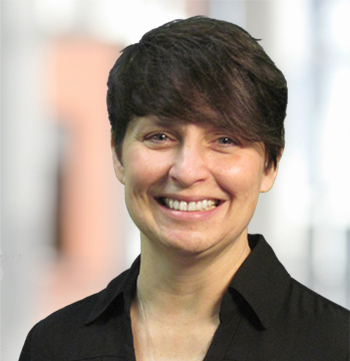 She is an Assistant Professor of Clinical Education at the UNC Eshelman School of Pharmacy and a Clinical Assistant Professor of Family Medicine at East Carolina University. Dr. Knapp graduated from UNC-Chapel Hill with a Bachelor of Science in Pharmacy and a Doctor of Pharmacy. She completed a Pharmacy Practice Residency and an Ambulatory Care with an Emphasis in Family Medicine Residency at the Medical University of South Carolina. 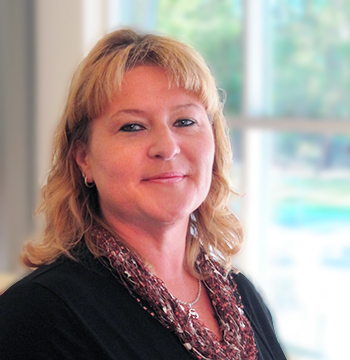 Karen joined Eastern AHEC in 2004 after more than 18 years of direct practice in behavioral healthcare settings. She received her Bachelor of Arts degree in Psychology from the University of Maryland Baltimore County and her MSW in Clinical Social Work/Mental Health Concentration from the University of Maryland Baltimore. 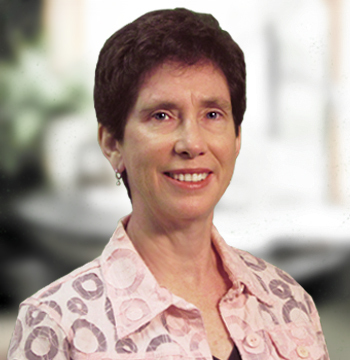 Karen is a Licensed Clinical Social Worker and has a certificate from Duke University in Non-Profit Management. She is a member of the National Association of Social Workers. Lenore joined Eastern AHEC in 2014 as a Program Assistant handling both regional and contract programs within the Mental Health Department. Prior to joining us she served as the Client Services Director at the Carolina Pregnancy Center for 11 years. Lenore has her Bachelor of Arts degree in Christian Psychology/Counseling and completed 2 years of Medical Transcription Education. Akshata joined Eastern AHEC in November of 2017 as a Program Assistant overseeing contracted programs in the Nursing & Allied Health department. She graduated from UNC Charlotte in 2016 with a BS in Psychology and BA in Sociology. Akshata has also worked for Trillium Health Resources in the Training Department with Crisis Intervention Team training and Mental Health First Aid before coming to Eastern AHEC. Christie joined AHEC in January of 2017 as a Program Assistant in the Continuing Medical, Dental and Pharmacy Education department. She was born and raised in New Jersey and moved to Greenville in 1996 to attend ECU where she received a BA in Anthropology. After working at ECU in the Chemistry and English departments and in the mental health field, she joined the Martin/Pitt Partnership for Children in 2010 in the ChildLinks Resource Room and in 2013 took on the role of Community Outreach Director and then Regional Consumer Education Counselor in 2016. 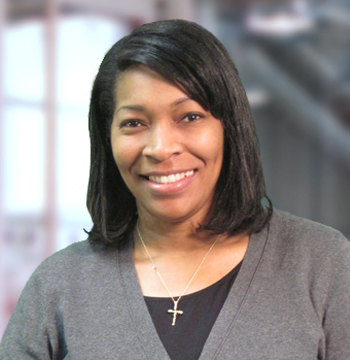 Denise joined Eastern AHEC in March 2018 as the Marketing Analyst in the Communication Department. 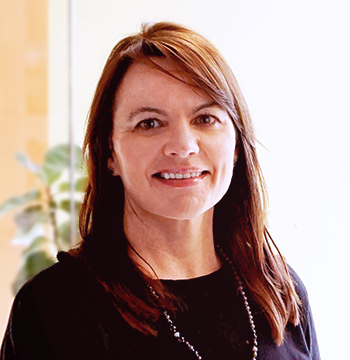 She has over 20 years of experience in Project Management and Account Management working with cross-functional teams to deliver successful Marketing programs. 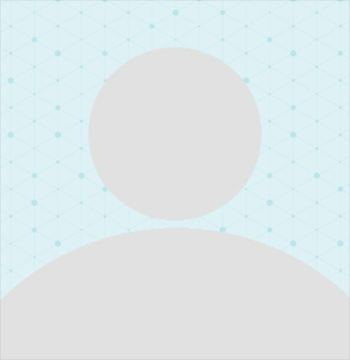 She has implemented multi-touch creative and campaign management database projects. 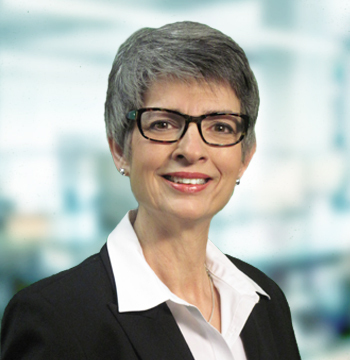 She has experience working with major Pharmaceutical and Consumer Packaged Goods clients. 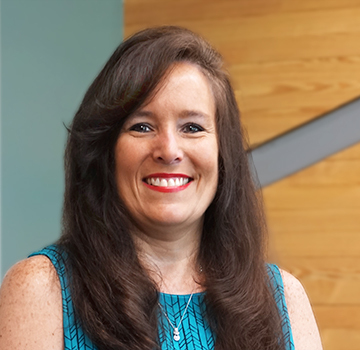 Denise earned a Bachelor of Science degree in Business Administration with a concentration in Management from High Point University. 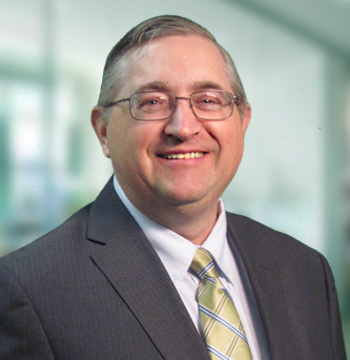 Matt joined Eastern AHEC in 2014 after more than 25 years of healthcare administration experience primarily in the area of physician practice management for large hospital systems. Matt holds Bachelor of Science degrees in Accounting and Business Administration and a Master of Health Services Administration. 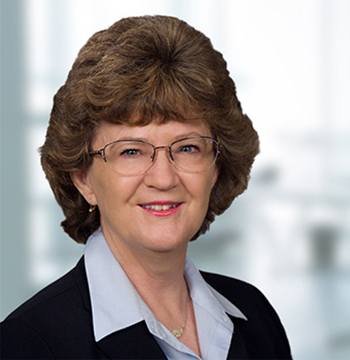 Claire joined Eastern AHEC in 2012 after more than thirty-five years of experience in rural health care from clinical nursing to hospital administration. She holds a Bachelor of Science Degree in Nursing from East Carolina University and a Master’s Degree in Public Health from UNC-Chapel Hill. Claire is board certified in Infection Prevention and Control and is a Fellow with the American College of Healthcare Executives. Angel joined Eastern AHEC in 2011 as a practice support consultant and later became the Director of the Quality Support Center. 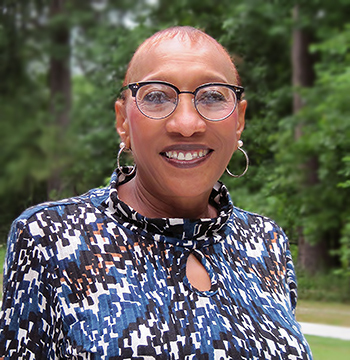 Prior to joining Eastern AHEC, Angel worked at Craven Community College overseeing all aspects of both the health information technology and medical office administration programs as director and lead faculty. Angel also serves on the Executive Board of NCHIMA and on workgroups of the NCHICA. Angel holds a Bachelor of Science in Health Information Management and a Master of Arts in Adult Education, both from East Carolina University. Ally joined Eastern AHEC in February 2019 and serves as the Assistant Director of Continuing Medical, Dental & Pharmacy Education. Ally received both her Bachelor of Science and Master of Arts degrees in Health Education and Promotion at East Carolina University. Prior to this role, she worked at Pitt County Public Health Department on chronic disease initiatives and tobacco prevention strategies within ten Eastern North Carolina Counties. 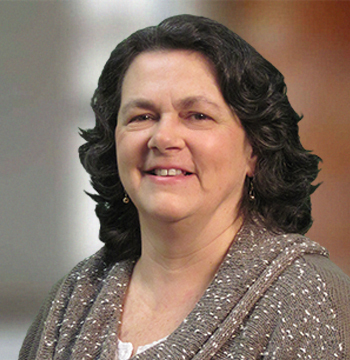 Donna joined Eastern AHEC in 2016 as the Director of Nursing and Allied Health education. 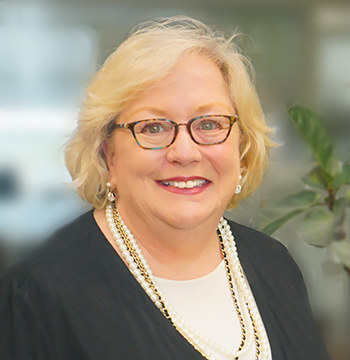 Prior to her work with Eastern AHEC, she served 33 years with Vidant Medical Center, with 30 years of experience in staff development and continuing education. Donna holds a Bachelor of Science Degree in Nursing and a Master of Science in Nursing, both from East Carolina University. 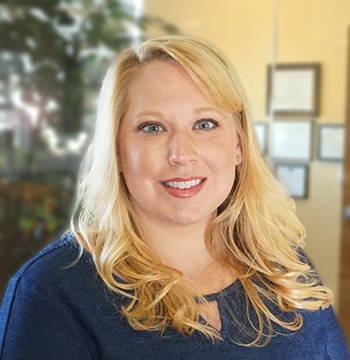 Shannon joined Eastern AHEC in 2016 as a member of the Quality Support Team. Prior to joining Eastern AHEC Shannon worked with Vidant Health as the Program Manager for their Physical Rehabilitation Program at Vidant Edgecombe Hospital. During her 10 years with this program she helped with leading the team to 3 successful C.A.R.F surveys in general medical rehab and stroke rehab. She earned her MBA with a focus in Healthcare Management from Western Governor’s University and earned her undergraduate Psychology degree from North Carolina Wesleyan College. Mary Stuart joined Eastern AHEC in March 2019 and serves as the Assistant Director of Continuing Medical, Dental & Pharmacy Education. Mary Stuart received her Bachelor of Science degree in Communication from East Carolina University. She earned her Master of Public Health degree from the Brody School of Medicine at East Carolina University. Prior to this role, she worked at the Beaufort County Health Department on behavioral health, substance abuse, tobacco prevention, and faith-based nutrition initiatives throughout the county. Bryn joined Eastern AHEC in January of 2019 as a Program Coordinator handling both regional and contract programs within the Mental Health Department. 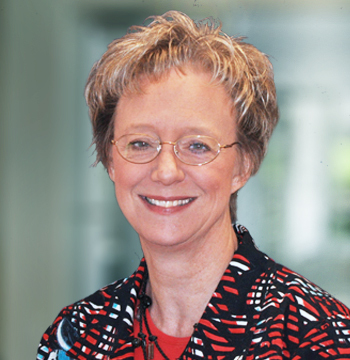 Prior to working with Eastern AHEC, she spent most of her professional career working in marketing with college athletics at Florida State, University of Houston, Georgia Tech and ECU. Bryn holds a Bachelor of Science in Criminal Justice and a Master of Science in Exercise and Sport Science from ECU. Claudia joined Eastern AHEC in 2008 she has worked with Information and Technology Services -Data Entry processing program registrations, ITS help desk and various ITS duties. Claudia has also worked with the Office Continuing Medical, Dental and Pharmacy Education Department as a Program Assistant handling regional, contract and series programs. Claudia currently works with the Communication department. 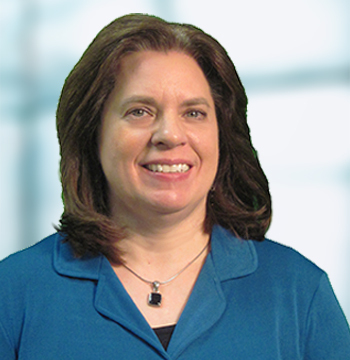 Mary Esther Sabados has been with EAHEC for over 17 years in the Office of Regional Primary Care Education. She oversees all aspects of student housing as well as preceptor payments for clinical rotations in eastern North Carolina. Ce Ce joined Eastern AHEC in October 2018 working in the Information and Technology Services Department. She is responsible for database management and web services. 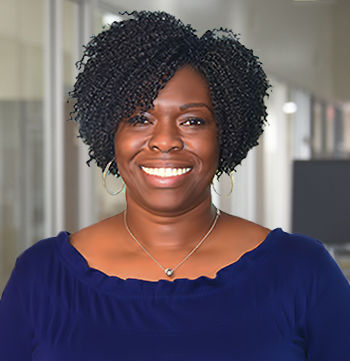 Prior to joining the ITS team, she worked for the Information Technology and Computing Services Department for East Carolina University as a Technology Support Analyst for almost 14 years. She has a degree in Business Computer Programming from Pitt Community College. 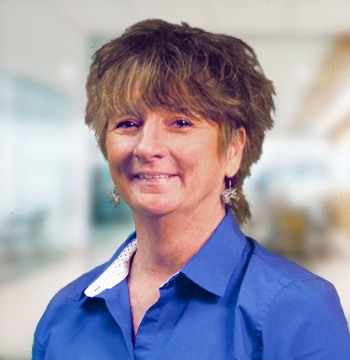 Ann joined Eastern AHEC in January 2019 as a Program Coordinator handling regional programs within the Nursing and Allied Health Education Department. Prior to working with Eastern AHEC, she spent 7 years at the Brody School of Medicine coordinating student programs. Ann has completed the Medical Administrative Certification Program training through East Carolina University. 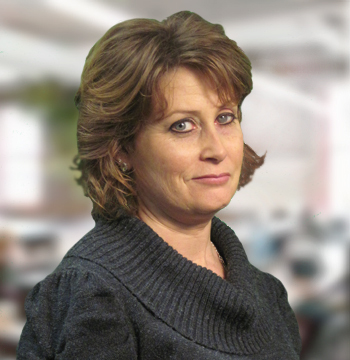 Michele has been with Eastern AHEC for over 10 years. She started in the Data Entry department and now serves in the Information and Technology Services Department. She is responsible for website creations and updates. She also does help desk services including software and hardware support. David joined the Information and Technology Services Department in August 2010. He is responsible for the day to day administration of EAHECs servers, computers, and mobile equipment. He is also the point-of-contact for web-conferencing calls and meetings. Juanita has been with Eastern AHEC for 17 years. She has been in the Data Entry and in the last year has moved over to the Communication’s department. She is responsible for entering registrations daily. 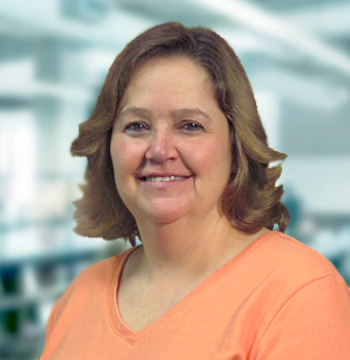 Lynn joined Eastern AHEC in October 2002 as Accounts Payable Clerk. After a few years was promoted to Accounts Receivable Specialist. She has worked in the accounting field for over 25 years. Shari joined the Department of Nursing Education in 2007 as a Program Assistant handling regional programs with the Assistant Director. She returned to Eastern AHEC in 2014 after three years with the Brody School of Medicine at ECU. She coordinates both regional and contracted programs for Nursing and Allied Health Education. Shari obtained her Bachelor of Science in Health Care Management at Mount Olive College in 2008. She has served in the health care industry for over 14 years.